The Lion King is a coming of age story about a young cub named Simba who can’t wait to be king of his pride and his treacherous uncle, Scar who also hopes to be king and murders Simba’s father King Mufasa and sends Simba into exile. Simba eventually meet an endearing pair, Timon and Pumba (a meerkat and warthog respectively) who teach him to live a life of no worries and Simba grows up without a care in the world. That is, until he runs into his childhood friend Nala, who urges him to take up his responsibility as the rightful king. Simba is reluctant to face his past until Rafiki, a wise but eccentric baboon, helps Simba remember who he is meant to be. 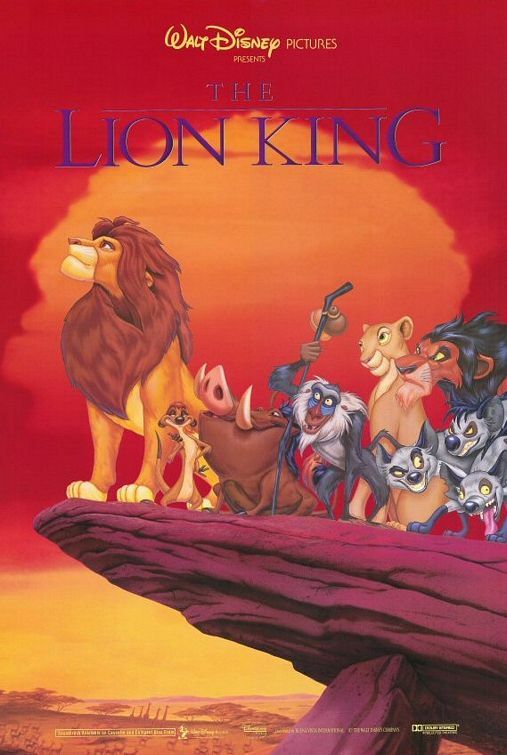 Simba returns home, overthrows his uncle Scar, and takes his place in the Circle of Life as the rightful king. I love this movie for many reasons the first being that is stars Matthew Broderick who quite possible has the sexiest voice a lion could have. Another reason, and probably the most important reason, is the gentle way it reveals life lessons such as taking responsibility, not worrying, even how to deal with death of a loved one. Also, like any other Disney movie, the songs were amazing! (Academy Award -winning actually). It’s not just my favorite movie, but has been a favorite movie of Americans since it’s intial release in 1994. It was re-released for a limited time in theaters in September 2011 to celebrate it’s BluRay release. It remains the highest grossing hand-drawn animated movie in history and has been my favorite movie since the age of 5. 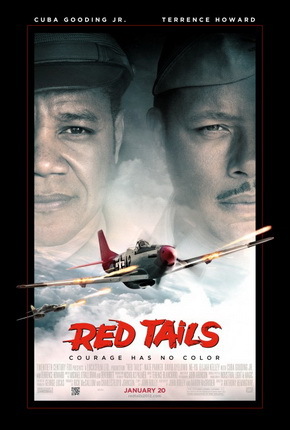 Since we’re talking about movies, I’m going to take this time to review one of this past weekend’s new releases “Red Tails”. This war film is based on the true story of the Tuskegee Airmen, the first African-American aviators to serve in the US Military. They fought during World War II and faced severe adversity in their attempted to be respected as an aviation team. The movie itself faced some adversity of its own, its production delayed because major film studios were apprehensive to dsitrubute a film with an “all-black” cast. Eventually, George Lucas decided to fund the film from his own pockets. This CNN article by Roland Martin and many other institutions encouraged people to go see the film opening weekend to send a message to Hollywood that films with talented black casts can be successful. That being said, I must say, I was incredibly disappointed in the movie as a whole. A slew of under developed characters delivered subpar acting in a storyline that wasn’t nearly as dramatic as I expected it to be. Seriously, it’s the Tuskegee Airmen story! How can you possibly make that story anything but moving? Somehow, writers John Ridley and The Boondock’s Aaron McGruder managed to turn what should have been a riveting story into a script of clichés and corny dialogue. Even the surprisingly few fight scenes were disappointing because they were so boring! How can a fight scene in WWII movie be boring? Only 2 pilots in the movie actually died. Also, Cuba Gooding Jr.’s facial expressions throughout the film were terrifying to me. On the positive side, this movie was a great opportunity for Hollywood to take notice of some talented Black actors. Even the newcomers delivered wonderful performances despite the limitation of their characters. It could’ve helped the story if there were fewer central characters leaving more room for background character development and possibly a more dynamic story. But the truth is there were just way too many stories being told in this movie and none of them was the story the movie should have been about: The rise and triumph of the Tuskegee Airmen. Okay, so I know it’s not Sunday. However, I felt today would be the perfect day to introduce you guys to my Favorite Gentlemen (part 3 of my Favorite Things) because today is a day we honor one of the most tenacious, dedicated, life-changing gemtlemen to ever live: the Rev. Dr. Martin Luther King Jr. Today is Natioanl Dr. King Day in the states, a day we remember the life and legacy of the famed Civil Rights leader and peace maker. Dr. King led a life dedicated to bringing equal human rights to colored people, to bringing nations together and to spreading a message of peace and love to all mankind. Keeping his lifestyle led me to carefully choose the gentlemen you see below. Those men featured in my mash-up are influential and beautiful through their choices, their messages, their talents, their acceptance, their differences as well as in their initial appearance. They are my favorite gentlemen because to me, they stand out from the Status Quo of what society says a man should be (emotionally distant, hard, tough, sexual, powerful, dominating, etc) and they instead redefine what it means to be a man (Sweet, kind, understanding, tolerant, intelligent, imaginative and dynamic). I decided to take my blogging more seriously (that or I’m very bored. maybe both). I’ve been thinking a lot about my favorite things, things that make me, well…Me! And I found that I’m actually influenced by a lot of things and people. So, I’m starting a series of posts under My Favorite Things starting with my Favorite Ladies. So, here’s a grouping of some of my favorite female personalities. Some are movie stars, some are philanthropists, some actors, some musicians, some just normal but all are very complex and very beautiful inside and out. I find that I am influenced by their style and personalities and paths they’ve chosen in life. Although I’ll always be uniquely me, as the new year begins and many changes approach, I’m thinking a lot about the path I want to forge in life and I look to these ladies for inspiration. Be on the look-out for more of my Favorite Things!